In a recent webinar, Building Codes Assistant Project (BCAP) President Maureen Guttman questioned whether building codes are effective when it comes to successfully reaching our energy efficiency and climate goals. Building codes are a unique and complex animal, and their development is driven by a diverse spectrum of vested interests. The recent 2018 code hearings exemplified how motley agendas could at least temporarily align to craft a middle-ground solution for a tough issue (namely, building envelope performance tradeoffs for onsite power production), setting an important precedent for cooperation, but certainly not realizing the gains that many sustainability professionals were hoping for. This “energy code fatigue” certainly contributed to the hottest debate that raged during the 2018 code development process over RE-173, a proposal focused on compliance requirements and the potential to trade off onsite renewable energy generation for reduced building envelope performance. In an unprecedented move, a coalition of vested interests, ranging from production builders to environmental groups, convened prior to the code hearings to develop a satisfactory compromise. The big builders, many of whom either make money off of the installation and sale of solar systems/leases to homeowners or at least get the installation essentially for free, were in favor of the solar tradeoffs to reduce the amount of money they had to spend on building envelope systems. Energy efficiency proponents took a hardline against decreased building performance, which would have meant rolling back years of hard-fought efficiency gains. Ultimately, both sides offered concessions, and together, they developed a modified version of RE-173, which increases ERI values (from 51 to 57) and requires that, if renewable energy is generated onsite, the building envelope must meet 2015 energy code requirements. Building codes are the minimum standard—the floor, so to speak, not the ceiling. 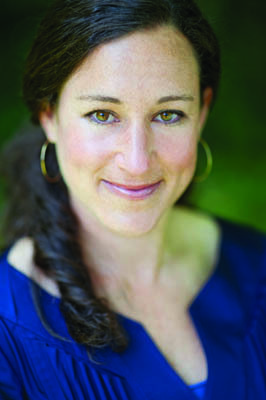 Guttman believes that they are no longer an adequate tool, and she encourages us to consider other public policy drivers that are being implemented in forward-thinking cities like San Francisco, Austin, and New York, such as renewable energy mandates, commissioning, and energy disclosure for homes and buildings. Want to engage in a meaningful dialogue about effective tools that we can use to achieve our climate goals? Join us at the Sustainability Symposium 2017: Ready for Anything on January 9 in Orlando as we explore intelligent solutions for a resilient future. There is still time to register, but space is limited and filling up quickly, so click here to reserve your space today!